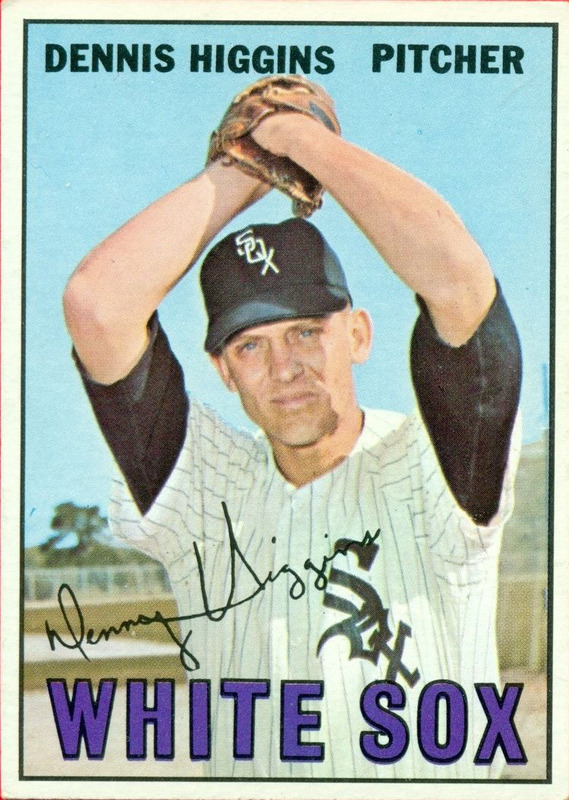 Happy Birthday to Dennis Higgins who pitched for the White Sox, Senators, Indians, and Cardinals from 1966 to 1972. I first saw him pitch in June 2, 1966 in Chicago. We were both rookies that season. It was our first road trip to my hometown since I made the team and I had friends and family at the games every day. The Yankees were leading the White Sox 5-3 and in the bottom of the fourth, Eddie Stanky pulled the starting pitcher, Tommy John, for a pinch hitter. Dennis came in to pitch in the fifth and proceeded to get nine consecutive outs; he struck out Mickey Mantle in his major league debut. He left the game for a pinch hitter in the bottom of the seventh. He made one hell of a first impression. 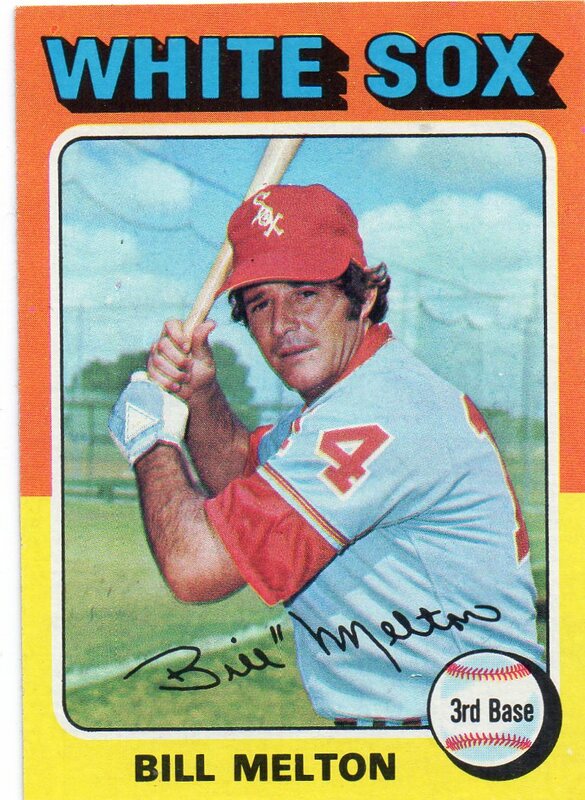 Happy Birthday to Bill Melton, who was a power-hitting third baseman for the Chicago White Sox while I was pitching for the New York Yankees. Some called him Beltin’ Bill because he hit 160 Home Runs in a short ten-year career that prematurely ended due to injury. He hit 33 Home Runs with 95 RBI’s in 1970, his second full major league season, and 33 Home Runs (best in the American League). Between 1968 and 1976, we played in 22 games together. He went 18-for-30, a career average of .300 – and after Paul Blair, no one hit more Home Runs off me that Bill Melton. One game that comes to mind against Bill and the White Sox was on August 26, 1969, a weeknight game at Yankee Stadium. I was facing a very tough pitcher in Tommy John. We got off to a good start when Tommy gave up a second inning two-run Home Run to our catcher, Frank Fernandez. Tommy and I were pitching nicely; each of us got into jams a few times, but we both pitched our way out of them. By the time Chisox manager Al Lopez pulled him for a pinch runner in the top of the ninth, Tommy had not let more Yankees score. I was also pitching a shutout as I entered the ninth. Ron Hansen (my future teammate), hitting for Tommy, led off with a single to left. Gene Michael’s fielding error let Walt Williams (also my future teammate) reach first and Tommy McCraw (running for Ron) move to second. Luis Aparicio bunted to Bobby Cox at third, moving Tommy to third and No Neck to second. I got a second out when Don Pavletich popped up to Ron Woods in center. Then Beltin’ Bill comes up and hits a double past Roy White in left, scoring Tommy and No Neck and tying the game up 2-2. Ralph Houk had enough of me and brought in Lindy McDaniel to get the third out. Wilbur Wood came in to pitch in the bottom of the ninth and retired the Yankees 1-2-3. Lindy pitched the top of the tenth in what was clearly a metaphor for the Horace Clarke Era. Stick made another error at shortstop, putting Ken Berry on first. Then Bobby Cox committed a throwing error, putting Ken on third and Bobby Knopp on first. Frank Fernandez let a ball get by him and Bobby advanced to second. Then Pete Ward (yet another future teammate) hit a sacrifice fly to left, scoring Berry and giving the White Sox a 3-2 lead. The Yankees rallied in the bottom of the tenth, but they couldn’t get the job done. Gary Bell, now pitching for the White Sox, gave up a leadoff walk to Roy White. Then he walked Fernandez, advancing Heeba to second; Lopez switched pitchers (now Danny Lazar); The Major put Jerry Kenney in to run for Julio Big Head. Bobby Murcer bunted – well, as usual – to the Birthday Boy at third, with Heeba and Lobo each advancing a base. Lazar intentionally walks Ron Woods. Now Danny Murphy comes in to pitch. Batting for Cox, Jimmie Hall hit popped up to Aparicio at short. With two outs, bases loaded, and down 3-2, The Major puts Jake Gibbs in to hit for Len Boehmer. Giblets struck out looking, ending the game with a painful loss for the entire team. One last story – quickly, I promise: the last time I ever faced Bill Melton was on May 9, 1976 at Anaheim Stadium. We were both at the ends of our careers – Bill with the Angels, me with the Indians (not long before my trade to the Rangers). Birthday Boy came up in the bottom of the seventh with two outs and Cleveland ahead 2-0 and hits a single to center.